The debut release from Nightscape Press’s new young adult imprint: Past Curfew Press! Kindle Edition Available Now — Trade Paperback available soon! It began with a drawing. 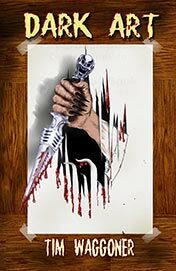 High-school student Sarah Pennington is in art class one day when her desk mate, Ben Phelps, shows her a drawing he’s done of a sinister knife-wielding figure he calls Shrike. Sarah begins having strange dreams of Shrike in which he commits disturbing acts of vandalism. When she awakens, she discovers her dreams have come true. The destruction is real – and so is Shrike. As Shrike grows stronger, his actions become increasingly violent, escalating to stalking, terrorizing, and ultimately, murder. 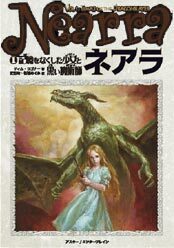 Sarah must help Ben stop the monster he created. But how can they fight a being that was born from anger and shaped by imagination? A creature that lives halfway between dream and reality? They have to find a way – before it’s too late for them both. They say art imitates life. 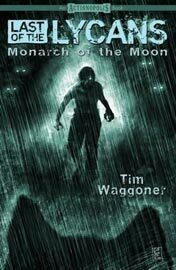 Strange events and odd physical changes lead a young man named Marshall to discover that he is actually part werewolf! As he uncovers more about his heritage, Marshall learns that the werewolf race is divided into two camps: those who choose to co-exist peacefully with mankind, and those who hope to feast upon it. When he chooses to side with humanity, Marshall unleashes a centuries-old blood feud that once threatened us all and soon will again! 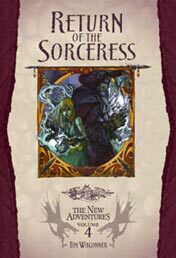 Return of the Sorceress continues a new series of Dragonlance adventures written specifically for readers ages 10 and up. Sized to fit young readers, the series features a new group of young companions who band together for friendship and excitement during the golden age of the Dragonlance world. 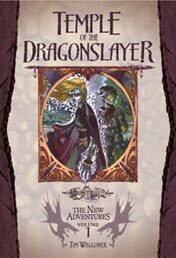 Temple of the Dragonslayer launches a new series of Dragonlance adventures written specifically for readers ages 10 and up. Sized to fit young readers, the series features a new group of young companions who band together for friendship and excitement during the golden age of the Dragonlance world.